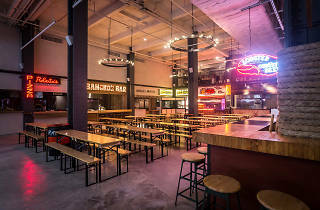 The food-hall boom keeps on keepin’ on, with trumped-up grub depots hawking plates from both street-circuit icons and chef-helmed havens (City Kitchen, Gansevoort Market). 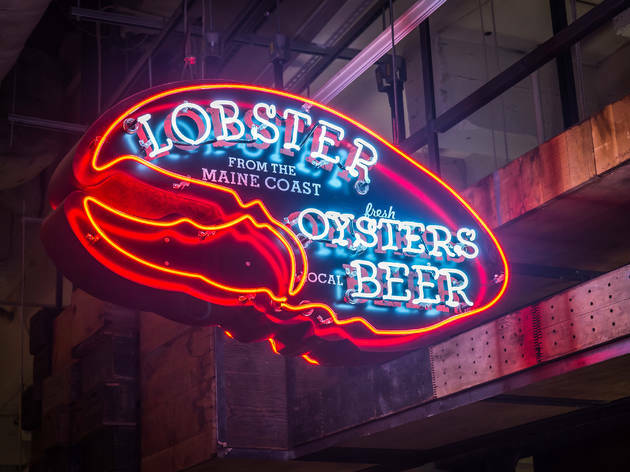 Joining the ranks is this whopping 12,000-square-foot perma-venture from UrbanSpace, the team behind seasonal streetside pop-ups like Mad. Sq. Eats and Broadway Bites. The 200-seat court plays host to market favorites—Bar Suzette crepes and Roberta’s wood-fired pizzas, including a Vanderbilt-exclusive pepperoncini pie—as well as newcomers like Ovenly, Toby’s Estate Coffee and a fried-chicken project from BrisketTown’s Daniel Delaney. 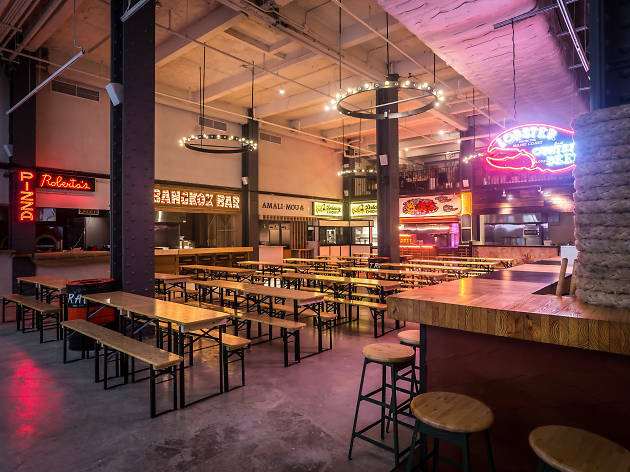 A stone’s throw away from Grand Central Terminal, Urbanspace Vanderbilt has quickly become one of New York’s most buzzed about food halls, featuring an unbeatable selection of 20+ rotating concepts inside a truly iconic New York space. As someone who loves to eat at all the best places in NYC when I visit, but never have enough time to get to all of them, these cafeteria halls are my favorite thing ever. I went in really wanting to finally try Roberta's pizza, but left with a sampling of Mr. Bing's amazing chinese streetfood crepes, a sour cream doughnut from Dough, and a desire to come back for wings from KBBQ, coffee from Toby's estate (which had the longest line when i was there), and more ramen from the Ippudo offshoot. It's RIGHT next to Grand Central so you can go and ogle at the beauty that is that masterpiece and eat some masterpiece food to match right next door. Awesome food hall! 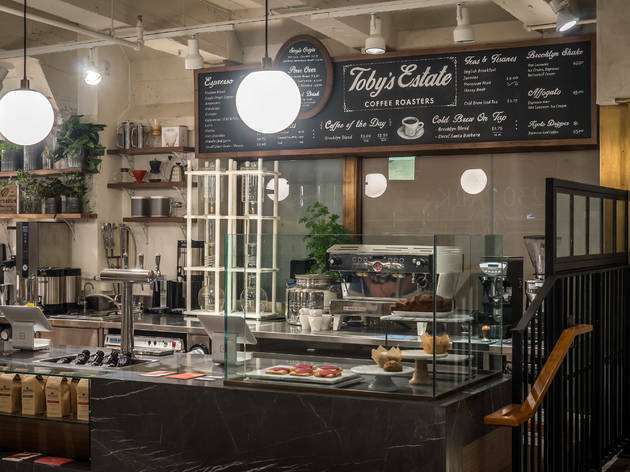 this place is an absolute gem - perfect if you wan't to escape that midtown feel but don't want to travel all the way down to the chelsea or gansevoort market. had toby's estate coffee for the first time and it was great. we also got tacos and a breakfast sandwich from other stands. 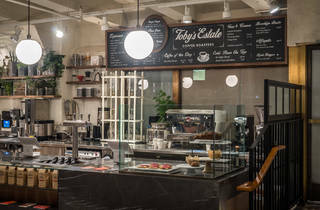 definitely recommend if you're by Grand Central/ midtown and want a casual date/quick bite. Good, fun place to grab food if you're in Midtown East. I've been here a few times because they have a lot of vegetarian or fish options for non meat eaters. There are a bunch of restaurants that have stands and it's a good place to split food with friends and try a variety of different foods. Bangkok Bar had amazing pad thai and was super flavorful. Tables, however, are sometimes hard to get because there just aren't that many tables/seats in general. Excellent variety of flavors and cuisines, really something for everyone here. Exactly what midtown New York needed. The most fun and delicious place for Midtown lunch and then come back for happy hour! so much variety, all under one roof! Similar to Chelsea Market but way less aggravating on the weekends! Although I disagree with my Tastemaker friend below about the brunch. We came for brunch and weren't feeling pizza or La Palapa so we felt the brunch options were a little lacking. With that being said, coming for dinner would be amazing. You've got incredible restaurants like Roberta's or Ramen by Ippudo which typically you'd have to venture far or wait in line for. 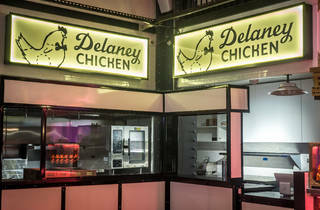 Great to know about if you live/work in the area or need to grab a bite before catching a train! If you have no idea what to have for lunch or a weekend brunch head over to the UrbanSpace Vanderbilt. 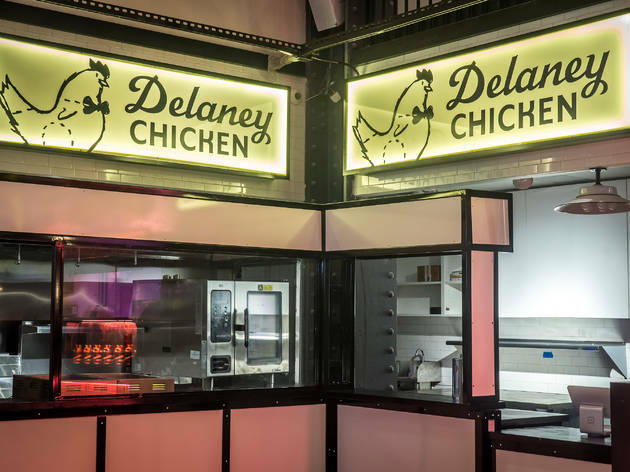 You can make your way towards Roberta's for delicious Pizza which always makes my heart sing, then make your way over to Delancy Chicken and have their Chicken Sandwich which is two giant pieces of fried chicken smothered in hot sauce with pickles and mayonnaise (it is So GOOD). One of my favorite places is the RedHook Lobster Pound which never disappoints. 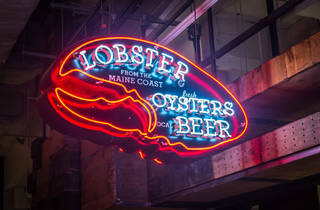 I love their regular lobster rolls smothered in butter on a nice hot toasty bun but they have a brunch lobster roll which made my stomach do backflips. All I can say is Scrambled eggs with lobster, bacon, lettuce, and cheese on a toasted bun, trust me you won't regret it. So many yummy options at this space these are just a few of my favorites. Make your way over and enjoy the GOOD food.